Speaking at the first Great Indian Travel Bazaar-2008, Tourism Minister Ambika Soni said here Monday that the areas for the 20 mega projects have already been identified and for each project the central government would provide Rs.250 million which would be used to beautify the areas. Ajmer in Rajasthan has been chosen as a pilot project, she said. Apart from lone destinations, the government is also developing seven circuits, which will have three sites in a row that could be visited by the tourists, and for which an amount of Rs.500 million has been earmarked, Soni said. "We want people to come for short stays. A person from Bangkok could come to Guwahati or Jaipur straight away," she said at the three-day travel mart, organized jointly by the Federation of Indian Chambers of Commerce and Industry (Ficci), tourism ministry and the Rajasthan Tourism department. The travel fair, which would be an annual feature to market Indian tourism exhaustively and intensively to the target countries, will focus exclusively on inbound tourism. Over 160 foreign buyers from 42 countries are participating in the event. The minister said the money would be invested on improving the sanitation and garbage collection in these chosen 20 destinations. Soni said the government was already investing on constructing two- to three-star hotels or dormitories for travellers in these destinations. "We helped the state government to prepare the list. After these 20 destinations have been developed, we will than target 20 other destinations," she said. Giving details of the mega projects, Leena Nandan, joint secretary in the tourism ministry, said the sites were selected on the basis of the number of national and international travellers visiting the place. Being a world heritage site was also a factor in selection. Besides Agra, the selected sites include Hampi (Karnataka), Dwarka (Gujarat), Benares (Uttar Pradesh), Aurangabad (Maharashtra), Mahabodhi temple (Bihar) and Mahabaleshwar (Tamil Nadu). Among the circuits that are being developed is the Ganga Heritage River site in West Bengal. Nandan said these sites would be more beautified and illuminated along with landscaping, and building proper parking bays. "The aim is also to connect them through train and airways. We have already spoken to the railway ministry and civil aviation ministry in this matter. We are also ensuring that more budget rooms are available for the tourists," she told reporters. She said as the government was aware of the constraints in adding more hotel rooms, incentives were being given for building budget hotels. The whole project would take three years to complete, she added. Nandan said work had already started in and around the Mahabodhi temple in Bodhgaya in Bihar. In the first initiative of its kind in the country, private airline company GoAir today announced its offer to provide free tickets to children of upto 12 years in the entire summer holiday period this year. The offer is valid on bookings made across the entire network of the airline, a company release quoting GoAir Chief Executive Officer Edgardo Badiali said. GoAir currently operates in Ahmedabad, Bangalore, Mumbai, Delhi, Goa, Hyderabad, Jammu, Jaipur, Chennai and Srinagar. Arrival of overseas tourists in India jumped 12.2 percent during the first quarter of this year, resulting in a 34.5 percent increase in foreign exchange earnings, according to data released Friday. An estimated 1.66 million tourists arrived in India between January and March, 2008, against 1.48 million in the same three months last year, said the data released by the tourism ministry. The resultant foreign exchange earnings were Rs.160 billion ($4 billion), against Rs.132.43 billion ($3 billion), showing a 21.1 percent jump in rupee terms and 34.5 percent jump in dollar terms, the data showed. The data also showed that tourist arrivals in the country had steadily risen from 1.29 million in the like three months of 2006, while foreign exchange earnings have increased from Rs.111.41 billion ($2.51 billion). Indian tourism industry is growing at a greater pace. Every year the number of tourists to india are increasing. But foreigners who are visiting india or destinatination in india are only during the months from october to march. It is about 5 to 6 months. This period is the tourism season time and the months other than these months in the tourism calender are off season months. During off season there wont be much foreign visitors to india we could find only local and regional tourists in the destinations. It is interesting to know that at the time of off season the rates in the hotels and resorts will be much less and the travel agents will be charging only less for their services offered. If you are thinking in a cost effective manner it is better to visit destinations in india during offseasons. 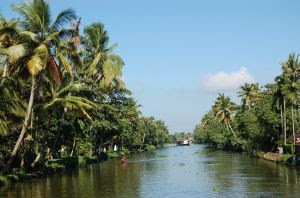 Indian tour planner a travel agent has launched off season packages for kerala. The packages ranges from 4 days to 10 days. Click kerala tours to find kerala tour packages. "Executives look forward to weekends wherein they can attach Fridays or Mondays to rush off for short holidays. They look forward to refreshing themselves during these short stays," said Jahangir J. Ghadiali, managing director of International Travel House (ITH), a leading Delhi-based tour operator, told IANS. Flexi holidays are the latest trend in the free individual travel (FIT) segment. They can cost anything from Rs.10,000 to Rs.100,000, depending on the traveller's budget. Flexi-tourists usually prefer to holiday in destinations closer to their places of work. Short holidays, he said, are the best way to de-stress. "Professionals breaking free from rigorous and stressful lifestyles have made short holidays a trend. They usually spend quality time with families and friends in an environment out of their regular routine," Ghadiali said. Budget hotels, low airfares and lifestyle trends have spurred the demand for one- or two-day holidays. These holidaymakers are usually adventure tourists, couples with double incomes and no liability, and singletons with hefty pay packets. ITH recently customised an ultra-short holiday for 16 fresh graduates from the Institute of Hotel Management, Pusa, who wanted to celebrate their graduation ceremony. "It was impromptu. They came in unannounced, hired cars from our ITH rental fleet and wanted us to customise a day's getaway for them. They demanded something offbeat with a good view of the hills," said a holiday planner at ITH. The ITH found them a dilapidated inn high on the hills of Kasauli in Uttarakhand. "The boys drove down to Kasauli and on reaching the inn, they found that it had no water and electricity. It was real adventure. "They bathed in the cold water of the hills, ordered food from the valley below and danced the night away to music from their car stereos. The old inn was quaint. The next day, they drove back to the capital. It was one of the wackiest flexi-holidays we designed this year," the official said. Flexihols, the flexi-holiday brand of blue chip tourism firm Cox & Kings, has changed its profile this year. "We have tweaked it a bit and created different segments to suit specific holiday needs," Ashutosh Mehere, head of the FIT segment of Cox & Kings, told IANS. The segments are - explorer, adventurer, family, shopper, romantic holidays and value deals. "The explorer segment caters to a customer who wants to plan his holiday once he reaches his destination. Whether he wants to shop at Khan el Khaleli in Egypt on the first day or take the Nile cruise in the evening, the choice is his," Mehere said. The adventurer, said Mehere, might like to study the Masai tribe in Africa or go paragliding in Manila. He might even try water rafting in Asia just for the high-adrenaline experience. In the family segment, mostly elders make the choice. "Here, we introduce options like children's visit to Disneyland in Paris or Florida, a visit to the Singapore zoo or to the botanical gardens," Mehere explained. "Then we have a segment for shoppers, where travellers spend their time shopping in the glitzy malls of Southeast Asia or Europe," Mehere said. "What we do is to suggest to customers. At times, they may have read or seen something on television that may not be true. What we do is to educate them on what's possible and guide them accordingly," the holiday expert said. Large groups of professionals in the service sectors and corporate houses are looking to flexi holidays these days to save time and innovate on itineraries simultaneously. Managers from the Bangalore-based The Madura Group were recently taken on a day's sporting holiday to the Angsana Resort run by the Prestige Hotel Chain on the outskirts of Bangalore. "We called it a cricketing holiday. Soon after reaching the resort, a cricket match was organised for executives from across the country. The match lasted till 5.30 p.m. It was followed by tennis and a party. Next morning, they were back," an ITH official said. Essentially such holidays are short and high speed, factoring in all the luxuries that leisure holidays can offer in the shortest possible time. Such vacations do not have fixed regimens like time-bound arrivals, departures and mandatory schedules. Houseboat owners in Kashmir valley are busy giving a facelift to their boats in an attempt to woo tourists ahead of the summer season. The valley is echoing to the sounds of tongs and hammers, as houseboats are being mended and decked up with furnishings. The owners claim that the houseboats are being carpeted and embellished like any five star hotel. "Tourism is the backbone of our region. We are trying to attract an increasing number of tourists by renovating the houseboats. We have made arrangements in the boats so that tourists get five star treatment," said Abdul Ahad Sheera, a houseboat owner. But what tourists are not aware of is that it takes a lot of hard work to maintain these houseboats that provide the comfort of a living room and the luxury of a bedroom. Now, after months of winter, the houseboats that lay still on the frozen Dal Lake are all set to thrill the visitors. "The houseboats are in the water for a major part of the time, so mending them becomes a necessity," said Bashir Ahmed, a houseboat carpenter. With Kashmir rolling out a carpet of tulips with the onset of spring, houseboat owners are anticipating brisk business. The houseboat rides have always been a hit with both domestic as well as foreign tourists. The shikaras or gondolas and houseboats have been the main attraction in the picturesque Dal Lake in Srinagar. Originally introduced by the British during the colonial era, the houseboats are aimed at providing wholesome entertainment to tourists. India will face a shortfall of 1,50,000 rooms for tourist accommodation by 2010, says a government report. It wants more hotels, even on the beaches, to meet tourists' needs, and five world-class convention centres to promote conference tourism. "Land should made available to construct more hotels. There will a shortage of 100,000 rooms in the budget category in 2010 when we host the Commonwealth Games," Anwarul Hoda, chairman of the Planning Commission's High Level Group on Social Services (HLGSS) told reporters. "We need hotels on beaches to promote beach tourism," he said. Planning Commission deputy chairman Montek Singh Ahluwalia released the HLGSS report here Tuesday. "The services sector is a source of dynamism and strength for the economy. The growth in services sector is tremendous, and yet there is no scope for complacency," said Ahluwalia. The services comprising trade, hotels, tourism, railways, banking and insurance, real estate and others contributed approximately 68.6 percent to the overall gross domestic product (GDP) between 2002-07, the HLGSS report said. In order to boost tourism along the coastal region, the panel suggested revising the coastal regulation zone (CRZ) norms by the Ministry of Environment and Forest. "Beaches are important destinations for the affluent tourists. India has a coastline of 6,000 km but beach tourism is not well developed. The government should allow hotels on beaches, as in other countries," said Hoda. As per the existing norms, the coastal land up to 500 metre from the high tide line (HTL) and 100 metre along banks of creeks, estuaries, backwater and rivers subject to tidal fluctuations, is called the CRZ, where commercial activities are prohibited. In order to attract more tourists, the HLGSS recommended streamlining air and road transport, better maintenance of heritage sites, and evolving an integrated infrastructure development programme for the tourist sites. "All states should identify special tourisms zones, and work out a sustainable tourism development plans including guidelines to regulate developmental activities in the area," said Hoda. The Planning Commission set up the HLGSS in May 2007 to examine "the different aspects influencing the performance of the services sector and suggest short and long term policy measures to improve and sustain competitiveness". Union Tourism and Culture Minister Ambika Soni today said that the stakeholders in tourism sector must explore the possibilities of making tourism innovative and affordable. Addressing a gathering in Beijing today after inaugurating the India Tourism Office, she said, "The India Ttourism Office in Beijing has been set up as per agreed plan of action for India-China Friendship Year Celebrations during 2007. The office will further increase people-to-people contact between the two countries and strengthen bilateral relations between India and China further." The Minister asked tour operators and local travel agents and airlines representatives to increase the volume of traffic from China to India as India has several tourism products to offer to them such as special trains to Buddhist sites, new luxury trains and some exciting lesser-known tourist destinations. India's Ambassador in China Nirupama Rao and Arun Anand, Vice-President, Indian Association of Tour Operators were also present on the occasion. India Tourism Office in Beijing is the 14th Overseas Office of India Tourism Department and is presently being headed by Acting Director R.S. Meena. Earlier, the Government of China had set up a China National Tourist Office in New Delhi in August 2007. Jungle safaris and nature camps are innovative measures to explore the abundance of adventure in the valley and fuelling the adrenaline amongst visiting tourists. erming the move as a step towards 'Responsible Tourism', officials said that the new form of tourism would bring tourists close to nature, as they would be able to understand and value it better. According to tourism officials, the safaris would be introduced in the valley in a year. "We are setting up several camps and nature treks. We are conducting safaris which will be nature's safaris," said Sarmand Hafeez, Joint Director, Tourism, Kashmir. Moreover, under the plan, camp sites will be set up at a number of new places where nature lovers would be able to enjoy the scenic beauty. The president of the houseboat owner's association has assured full support to the new strategy of the government, but fears that with jungle safaris being introduced, the frequency of tourists' inflow will increase in the natural habitats of endangered species, and so the government should take adequate precautions to protect the invaluable fauna. Houseboat owners are happy about the revival of the trekking expeditions that were in vogue in the past. "If the department of tourism does it, definitely we will render our services. The Houseboat Owners Association and travel division of houseboat owner's association would be frontrunners in the field. In fact trekking was introduced by houseboat owners' way back in 1860. So it will be very nice," said Azim Tauman, President, Houseboat Owners Association. For the jungle safaris, the tourists will be visiting the Dachigam National Park in Srinagar, spread over an area of 140 sq. kms which is a habitat to the Kashmir stag (Hangul), black and brown bear, musk deer, leopards and large variety of migratory birds. After the Gurez valley was thrown open for tourists last year, several new tourism destinations are set to open this year. The DLF Indian Premier League (IPL) today announced that Kingfisher Airlines, the country's only 5 Star Airline has been chosen as the official Airline for the league.The appointment as the official airline partner is in addition to Kingfisher Airlines' earlier commitment to the DLF IPL as the Umpire Partner.As per the official airline partner agreement, Kingfisher Airlines will extend its world-class, award-winning hospitality to all teams of the DLF IPL and BCCI officials. Also on offer will be dedicated check-in counters, VIP lounge access, an exclusive ground handling team at all airports and a special helpline number for all air travel needs. "I am very pleased to have the country's premier 5 star airline Kingfisher Airlines join us as our official Airline partner. I am certain that the cricketers and officials alike will enjoy the 5 star hospitality of the airline while flying the good times across the country getting from one match to another," said Lalit Modi, Chairman and Commissioner, DLF IPL. "Their decision to extend the association beyond being umpire partners further bears testimony to the fact that the DLF IPL is here to stay and is set to carve out a distinct niche for itself in the international cricketing calendar," he added. Dr. Vijay Mallya, Chairman and CEO, Kingfisher Airlines Limited said, "We are delighted to extend our partnership with the DLF IPL as the official airline partner. Our multi-year agreement with the DLF IPL is further testimony of our commitment to Indian sports. ""I am certain that all the players and officials of the DLF IPL will undoubtedly enjoy our hospitality and fly the good times during the forty-four days of intense competition. The DLF IPL is a highly innovative concept and the Twenty20 format will undoubtedly take cricket's popularity to a new high. I welcome all DLF IPL guests to sit back, relax and enjoy the Kingfisher experience," he added.Kingfisher Airlines has a long association with a variety of sports at both the domestic and international level including Tennis, Formula One, Polo and now Cricket.Earlier Leading sports broadcaster Sony Max & World Sport Group had bagged DLF IPL's global media and production rights for 1.026 billion dollars. DLF limited, country's leading real estate company is the league's title sponsor, while Hero Honda, the country's largest two-wheeler maker, won the Co-Sponsorship rights for the cricket extravaganza. PepsiCo India, one of the country's leading beverage companies, has been chosen as the Official Beverage Supplier and Kingfisher Airlines, the country's only 5 Star Airline, is the Official Umpire Partner for the league. The DLF IPL is ready to kick off on April 18th 2008, with some high voltage action expected between Shah Rukh Khan's Kolkata franchise and Dr. Vijay Mallya's Royal Challengers of Bangalore at the M. Chinnaswamy Stadium at Bangalore.The DLF IPL will feature eight Franchises and will run for 44 days. Each Franchise will play others on a home and away basis with 7 matches at home. The top 4 Franchises in the league will contest the semi-finals and the victorious semi-finalists will meet in the Grand Final all over one weekend, which will be played out in Mumbai.The inaugural season of the DLF Indian Premier League will showcase a grand total of 59 matches providing broadcasters and in-stadia spectators with 177 hours of live "family entertainment", which will also be viewed by a significant international audience. All matches will be during late afternoon and evening to coincide with prime time for television and providing a convenient time for the stadium audience. The Andaman and Nicobar Administration has revised the passenger fares of vessels plying in mainland-island sector for various classes of accommodation. he revised fares will come into effect from May 1. However political parties have expressed their resentment over the matter and alleged that the decision was taken prior to any discussion with the public. The fares for Deluxe class of accommodation in MV Swaraj Dweep, Nancowry and Nicobar will be Rs 3,940 (For islanders) while it will be Rs 7,640 (for non-islanders). For 1st Class Cabin, it will be Rs 3,560 (for islanders) and Rs 6320 (for non-islanders), for 2nd Class Cabin it will be Rs 2,680 (for islanders) and Rs 5,030(for non-islanders), and for Bunk Class Rs 710 (for islanders) and Rs 1,960(for non-islanders). Similarly, the rate of tickets for Deluxe Class in MV Harshavardhan will be Rs 3940 (for islanders) and Rs 7,640 (for non - islanders). The 1st Class Cabin ticket for islanders will cost Rs 3,560, while it will be Rs 6,320 for the non-islanders. The second Class "A" Cabin tickets for islanders will be Rs 2,680 and Rs 5,030 for non-islnders, while for 2nd Class "B" Cabin it will be Rs 2,350 (for islanders) and Rs 3,890 (for non-islnader). The Bunk Class fare will be Rs 710 (for islanders) and Rs 1,960(for non-islanders). The fare for Deluxe Class in MV Akbar will be Rs 3940 (for islanders) and Rs 7640 (for non-islanders). The passenger traveling in 1st Class Cabin will have to pay Rs 3430(for islanders) and Rs 5,440(for non-islanders). (ARA) - This is the time of year when the winter blues are setting in for many outside the Sun Belt, which always means big business for winter beach destinations. It’s usually not hard to spot those who’ve been sun-starved all winter, as they may be getting off airplanes in places like Boston, Detroit or Chicago in shorts when arriving home to February temperatures in the teens. The question is where are beachgoers headed during the winter months? It’s no surprise the most popular domestic winter beach destinations are in Florida, California and Hawaii. After all, they offer the most coast line, a warm climate and post card images of sunshine, palm trees and ocean waters. Internationally, the same can be said for Mexico. These locales annually boast many of the top beach destinations. However as travel levels rise and lodging construction continues, many are also aggressively marketing their destinations, and riding the wave of tourism to lure more travelers to what are already historically popular beach cities. As a result, there’s been continued growth in many top spots. In fact, online travel agency Orbitz recently set out for the sandy beaches to determine which winter beach destinations are the fastest growing. Topping the Orbitz list domestically is Maui, HI, which edged out a handful of popular beach cities in Florida, as the fastest growing winter beach destination. Hawaii’s Big Island also landed the third-ranked vacation spot in Kailua-Kona, which continues to rise in popularity. Florida landed five of the top 10 on the list, which measured percentage growth in hotel bookings from late December through the end of February over a three-year period to compile its Index. The most popular Florida beaches include Daytona Beach, which is number two, as well as Key West, Fort Lauderdale/Miami, Sarasota and Fort Myers. California beaches in San Diego and Santa Monica were also in the top 10, as was historic Charleston, SC. In Mexico, Cozumel continues to be among its most popular beaches and now it also has the distinction of being its fastest growing internationally, Orbitz says. At number one, Cozumel was one of six Mexican beach destinations to make the list; the others included Riviera Maya/Playa Del Carmen (number two) as well as Cancun, Acapulco, Ixtapa and Mazatlan. Negril, Jamaica, Rio de Janeiro, Aruba and Bermuda rounded out the international top 10. * Book a vacation package and book online. Combining air and hotel is a great way to save on trip costs. Online booking can also help you save. * Be flexible with travel dates. Traveling at off-peak times will enable you to avoid some of the crowds and find better rates. * Plan and book early. Generally, the further in advance you can book, the better your chances of finding a good deal. * It’s never too late! While it’s always advisable to plan ahead and book early, it’s never too late to get away. If you’re still anxious to go but haven’t booked yet, keep your eye out for last-minute specials and you might be surprised by what you find. * If flying out of a cold weather climate, take the earliest flight possible. Your chances of incurring a delay are much greater late in the day. * If you can, leave the laptop and PDA behind. It’s much easier to unwind with sand between your toes if you leave your work at home. (ARA) – Living healthy is an important goal for many of us. Adults strive to implement healthy habits in their daily lives and parents try to pass these on to their children. It’s no wonder then that health is becoming increasingly important in all aspects of life, including when planning a vacation. 1. Indulge with delicious foods that are healthy. When you’re on vacation, you want to enjoy yourself, and there’s nothing better than sitting down to a delicious meal. But who says that taste and health can’t go hand in hand? Top chefs often use the freshest and healthiest ingredients possible to create dishes that tempt the palette and are good for the body. When you vacation, choose meals that use fresh, local ingredients. This will help you get a sense of the local fare and also indulge in a nutritious meal. At Rancho De La Osa in Sasabe, Ariz., the chefs specialize in creating healthy dishes that are a delicious indulgence. “Our chefs use very little salt and use the fresh herbs we grow on the ranch,” comments Veronica Schultz, proprietress at the ranch. Rosemary, basil, mint, tarragon and Mexican oregano are all grown on-site. During the summer, the ranch grows tomatoes and peppers as well. The ranch only uses extra virgin olive oil and makes all of their own lighter salad dressings. Sauces are fruit-based instead of cream-based to cut calories and increase flavor. “There’s no pre-made anything,” adds Schultz. “We make everything from scratch ... guests love it." 2. Spend quality time together and apart. Health isn’t just about eating well and exercising, it’s about having positive relationships in your life. When planning a family vacation, choose activities the family can do together, working toward a common goal. Trying something new could bring you closer. Jeanne Ross of Colorado Trails Ranch, a popular family vacation destination in Durango, Colo., says that families visiting the ranch split their time between activities together and activities with their peer groups. She notes that dude ranches provide a backdrop for families to focus on traditional values and spend quality time together. “Our values are for families to have a good time, learn something new and be safe. People make friends that last forever, and that’s really a value of health,” comments Ross. 3. Relax and spend some time learning more about yourself. Self reflection and relaxation are important aspects of a healthy vacation. After all, when you return back to the “real world” you want to feel positive and refreshed. Vacations are the perfect time to look for activities that help you learn a little more about yourself. Perhaps spend some time journaling, or try a new artistic activity like pottery or painting. At Homeplace Ranch in Alberta, Canada, women visitors have a special opportunity to learn more about themselves through an interpretation of their interactions with the horses. Horses don’t understand words, but they react to body language and tone of the voice. Specialist Nancy Lowery spends time with visitors explaining how their interactions with horses can give them insight into how they act and might therefore be perceived in other aspects of their lives. For more information visit www.guestranch.com. India happens to offer a whole range of activities for foreigners who are considering taking a vacation somewhere in Asia. You will be able to find a lot of things to see and do that are distinctly Indian. You see, they happen to host several religions and multiple cultures that will keep you wondering every time, and if you want to find out more about Bollywood, then here’s your chance. Previously, this city was named Calcutta where one will find fabulous colonial buildings that will transport seem to transport you to another place and time. The place abounds with cultural samples of all that is Indian. It is also known as the City of Joy. This is another notable city which used to be home to pensioners. Now, this place has become populated with pubs and technological companies. These companies show advances in industrialization in the area, which used to be a place of slow leisure. Taj Mahal is found in Agra and named as one of the Seven Wonders of the World. Who can forget the story of the ruler who loved his wife so much that he built this building to keep her happy? And to actually see what this ruler built would make one gasp in awe at its majestic architecture. Imagine people during that time coming up with such structures despite the lack of modern equipment. This landmark happens to be a destination of a mixture of cultures where east meets west. Check out this place for great buys in an urbanized city which offers a whole gamut of merchandise. If you want to take a dip in a beach, then you will want to check out this place so you can cool off after a day’s drive to other beautiful sites and landmarks. Many times, people will only have literature to hold on to stories of our religion and culture. But at Bodh Gaya, one can find the place Indians believe is where Buddha Sakyamuni gained enlightenment. Buddha happens to be one of India’s most revered gods on which Buddhism has come about. It is always a pleasure to see the ruins of a building that have withstood the test of time, and Hampi happens to be the very place. This was where the center of the Vijayanagara Empire was once seated. You will find here the ruins of that empire, proof of its existence in India where it once flourished and ruled the land. We know Hinduism is one of the major religions of India. We know how churches of other religions look like, but ever wondered how a Hindu temple could be different from other temples? Wonder no more as this spectacular temple is open to all visitors in Madurai, India. This place is also called Ajanta. It is popularly known as a holy place specifically for Hindus, Buddhists and Jains. What makes this place extra special is that these are cave monasteries and temples that have been shaped and cut by rocks to its form. India has no less than 20 national parks one could visit while there. There are three in Karnataka, two each in Madhya Pradesh, West Bengal, Jharkhand, Uttarakhand, and Rajasthan. There’s one each in Uttar Pradesh, Assam, Tamil Nadu, Kerala, Gujurat and Andman and Nicobar. India is popular for its spicy foods because of their love for using chili in their meals. You will hear of kebab, kofta, Tandoori chicken, sarson da saag, and many more. In addition, wheat products abound in the place where roti (Indian bread) and other bread varieties like chapatti, paratha, naan and puri can be eaten with gusto. Munnar - breathtakingly beautiful - a haven of peace and tranquility - the idyllic tourist destination in God's own country. Overnight at Munnar. Evening boating at periyar lake and Visit The Periyar Wildlife Sanctuary, Kumily, Murikkady, Pandikuzhi, Vandanmedu etc. Over night at thekkady. Kovalam is one of the most beautiful and famous beaches world-famous beach resort, which has been a favorite spot for tourists since 1930s. This beach has lovely coconut palms fringe the golden sands. Kovalam is the best place for relaxation. It has three different beaches of which the Lighthouse beach is the most famous beach. Overnight at Kovalam. Kanyakumari , the lands end of India. Lunch at Hotel. After Lunch Visit Kanyakumari Mandir, Tri-Samudra Milan, Gandhi Mandapam In the evening you will visit the Vivekanand Rock Memorial and return to the mainland to see the spectacular sunset in the Arabian Sea. Overnight at Kanyakumari. Standard car for all sight seeing and transfers. Driver bata, toll, parking and fuel charges. Sight seeing as per itinerary. Kerala's Off season usually starts from the month of April. During this off season travellers can enjoy kerala at a low price when compared to the high season. Generally Off season ends on the month of September. Kerala's monsoon season comes during this offseason. According to ayurvedic experts monsoon time is the best time to undergo ayurvedic treatments. Not only that monsoon time is best season to visit hill destinations in kerala like munnar and vythiri. Indian Tour Planners has come up with tour packages especially for this off season in kerala. Visit keralatours.indiantourplanners.com to find kerala offseason packages and kerala tour packages.